Click here to upload your article. I like the unique things in people and in everything that surrounds us. I like the beauty of nature and art. I like the changes and the pursuit of something better. Because Sofia is a city- kaleidoscope, exceptionally full of history and opportunities. Sofia unveils spectacular archeological remains and stories of its dignified past, and at the same time constantly changes before our eyes, acquires a more modern look and becomes a more attractive city. Sofia has always concentrated in itself a very rich human potential which implies the rapid cultural development of the city in the future. I believe that Sofia may become a European Capital of Culture and will willingly contribute to the realization of this cause. I am interested in the arts and would like to learn more about their development in Bulgaria and at the same time to gain more organizational skills. I also believe that participating in such an initiative would allow me to use and build on my experience and knowledge gained in the last year of study in Japan. I love my city, colorful, loud, artful, creative, full of surprises. Let yourself be lost in the city and discover its hidden charm. And share it with the world … because Sofia deserves it. I like drawing and playing chess. My name is Alia Buazra. I love music, books, movies, I love my friends. I believe Sofia should win the title of European Capital of Culture because this is a wonderful opportunity for the city to grow and share its rich history with Europe - not only the history of the city, but the history of the country. Sofia is the capital city but also a tight-knit community, carrying the spirit and the uniqueness of the Bulgarian people. I love big cities, sunny weather and Korean cuisine. Why Sofia? Sofia is a wonderful city, full of hidden treasures. I feel more people should have a chance to discover what lies behind the visible. I am Antoineta Mihaylova and I am a student in the University of National and World Economy in Sofia. I love visiting new places and discovering our country’s numerous curiosities. I love meeting new people and building relationships. Sofia must become an ECoC because it is the most beautiful Bulgarian city. It has marvelous nature and curiosities. I have been in love with the city since the first time I came here and I am convinced this is the place I want to live in. I believe this will be an interesting and dynamic pursuit. And of course, most important of all, we will help our city. Sofia is special to me. It is as wonderful as it is ancient. I would like to participate in popularizing its architectural landmarks, culture and lifestyle. I was born in Sofia. I would really like to contribute with what I can to make Sofia an even more wonderful city. I am interested in cultural events and this initiative seems like a great opportunity. I am ready to help in whatever way is needed. Without a doubt it’s important for Sofia to succeed in becoming a candidate for Cultural Capital of Europe. That will be useful for people living in Sofia, for Bulgaria as a culture destination, and for our capital in terms of infrastructure and density of diverse of happenings. I want to participate as a volunteer, because I believe that without each of us putting in our bit, we will not success as a nation or a city. More selfishly, I want to see Sofia become more European, more welcoming and ‘cultured’, and I enjoy very much communicating with people from all over the world. I am interested in the development of the initiative and want to become more familiar with the organization and the event planning. I can contribute sound cultural knowledge, organizational and coordination capacity for ongoing activities and events. The initiative seems interesting and I support the cause. I would like to try something new and different. I am a communicative and creative person and I would like to acquire more knowledge. I give you my support because I like the initiative. I would be glad to help in your activities and if Sofia is selected to be the European Capital of Culture 2019, I would be happy to know that I have contributed to this achievement. I would like to assist in the implementation of good initiatives, in building new alternatives. And I believe that Sofia's bid for European Capital of Culture is a great initiative indeed. I like to communicate, to learn, to be of use. I like history, art and causes. I love my family, my friends, and Bulgaria. Sofia must become a European Capital of Culture in order to mobilize the creative potential and the self-confidence of the Bulgarians. Because it is the “wisest” city/region in Europe. I'm Annie, born in Sofia and greater part of my life has passed in Sofia. I am a lawyer by training but an artist at heart. I love nature, I am very outgoing - love to meet a lot of different people. I do not like stagnation and I am always looking for new challenges. What do I love? Many things: music, starting from one of the street musicians of our city to lavish concerts in the large halls. I love good and quality music. I like dancing - Bulgarian folk dance, Latin dance and now I'm very fond of Zumba. I would like to contribute to the successful bid of Sofia for European Capital of Culture with my skills and enthusiasm. I want to take part in this initiative because I truly believe in the huge potential of Sofia. It is a charming, colourful and diverse city which needs some additional support to show that it deserves the title "Capital of Culture". I have been touched by this initiative on a personal level. I believe that Bulgaria is an interesting, beautiful and distinctive country. It definitely has a tourism potential which just needs to be further developed. I could contribute to the initiative supporting Sofia's bid for the European Capital of Culture 2019 with my enthusiasm, dedication and positive attitude. Why Sofia? It deserves to win. I believe that Sofia has a great potential in culture and I want to help the city achieve the goal. My name is Anastasia Zhivaeva. I love architecture; I love the rainy weather, traveling, and playing billiards. Why Sofia? For the city, this is a lifetime opportunity for change, getting the attention of the whole world. It is a chance for the citizens and the city to celebrate what they have. I love … love itself. Why Sofia? It is a city full of surprises; you never know what will happen next. Mystery and charm dwell in every little thing here. I want to get involved because I'm excited about the future of Sofia and because I want to assist in the organisation of the series of events under Sofia European Capital of Culture 2019. I have enthusiasm, patience and some free time to utilise. Sofia is a magnificent city, but not everyone is able to see its potential. Let's help those who are experiencing difficulties! I want to participate as a volunteer because I think that Sofia could really become the European Capital of Culture 2019. I will have the opportunity to meet a lot of people, to acquaint myself with the overall process of implementation of this project. I think I can contribute with my experience and ideas. I became a volunteer because I would like to give my contribution to the selection of Sofia for European Capital of Culture. I think that our beautiful city deserves this honour. My name is Valeria Radeva and my professional background is interior and product design. I like Sofia to win the title and prove to the world that it has the potential, the talented people and everything else it takes to be a capital of culture. I enjoy the summer time and good music. Sofia is a treasure chest of memories from past times. It has something to offer to everyone – long walks in the park or cultural events and artistic happenings. I am a proactive and creative person and I think that such an initiative will be useful for my professional development. I also love Sofia very much and I think that the city can fight for being the European Capital of Culture 2019. My name is Velislava Brey. I love my son, I love traveling, dancing and talking to people. Why Sofia? Sofia has a unique and rich history, culture and spirit. The city has many interesting sites and traditions and is full of surprises. I love meeting new people, solving new challenges and discovering new cultures. Why Sofia? Sofia deserves to become European capital of culture because it is a charming city which has preserved an element from each epoch it has passed through. It deserves to be called cultural center of our country. I want to be a volunteer because it would be interesting for me to participate in the organization and the preparation of various events related to the Sofia – European Capital of Culture 2019 campaign. My participation as a volunteer would allow me to meet and interact with different people, to share opinions, ideas, etc. So far my participation in cultural and social events has been only as a spectator and not as a participant, but this initiative would give me the opportunity to be on the other side and to participate directly and actively in the process. I became a volunteer in order to be part of the development of Sofia as European Capital of Culture 2019. Why Sofia? Sofia is my home town! I am absolutely thrilled by the opportunity to work for this prestigious title and hope Sofia would win. I love working with people, hearing different ideas and points of view to think about, walks around older residential districts of Sofia, practicing my craft, history, psychology, philosophy and a little sport. Even though it is usually described as dirty and dusty, Sofia is one very colorful gathering of different cultures, piled one over another with the passing of time. Less are the cities who can offer such a delight for senses the same way that Sofia can do it. I love the simple things in life – Sunday nights at the movies, a cup of coffee with friends, a good book, Sofia at night, a good song on the radio on the way home... That makes me feel alive. Sofia is my home, a sensation, the air I breathe. It’s a city to work for, to talk about, and to write about. Volunteering is valuable in itself, but my love for Sofia is what drives me everyday in my work and desire to do something for my city. I became a volunteer because I love creative atmosphere and I believe that here I can find new and interesting people. I can contribute with my good experience in different cultural events, enthusiasm and awareness about current cultural events and activities in the capital. For me it will be very interesting to participate as a volunteer and I think that I can contribute to Sofia’s candidacy for capital of culture in 2019. I have a special attitude towards culture and art. I want to be a volunteer because I really like the idea of the candidature of Sofia for ECоC. I think it's an exciting challenge, by which we can show all Bulgarians that the economic crisis should not hinder the development of culture. I am Gergana Arnaudova, from Stara Zagora. For the last four years, I have lived and studied in Sofia. I love to read and have fun with my friends. I absolutely adore the night strolls in the city, when everything slows down for a bit. I believe every city can become a capital of culture. Sofia concentrates a rich cultural history and traditions, many cultural institutions. The title will attract more people to Bulgaria, to enjoy its historical and natural beauty. I think Sofia is one of the most beautiful cities not only in Europe, but in the world. Its magical atmosphere should reach as many people as possible. I know the city and its history, and above all, its beauty. Who am I? My name is Gabriela Todorova. What do I love? I love travelling around Bulgaria and the world. I love meeting new and interesting people. Last but not least, I love animals. Why Sofia? Sofia is a city that has many interesting places and things we can be proud of. The city is constantly developing and offers young people the possibility to express themselves and show their talent and skills. The popularity gained as European Capital of Culture can mobilise the cultural environment of the city, attract the attention of artists, projects and European institutions. It's nice that both the residents of Sofia and Bulgarians as a whole would be able to experience such a major project, and broaden their horizons. I am interested in everything that is new and different, everything I have not tried before. I joined as a volunteer mainly because I would like more art-related projects to be developed in Sofia. I think Sofia would be a great host city, and that it can live up to European standards. I was born in Sofia, a city with such a rich history and culture. It deserves to be European Capital of Culture and if I can make even the smallest contribution towards that, I will do anything I can. I support Sofia's application because I was born here and would like to help popularise the city and its attractions and monuments. I am a good communicator, and with my experience of promotion and marketing I can be of help with Sofia's application to be European Capital of Culture. I grew up in this city. I love Sofia and would really like to help it become European Capital of Culture. Sofia is the city I was born in and I care very much about its current state, development and overall appearance. I think much remains to be done in terms of improving the physical urban environment, but even more is needed when it comes to the social and cultural domains. I am happy to see the recent positive trend of different events being organised, of all kinds of themes and scales. I would like to contribute towards multiplying, organising and popularising them. I joined as a volunteer as I would like Sofia to be the best candidate for European Capital of Culture 2019. I would be very happy if I am part of its realization. My name is Desislava Kaleva. I like to spend my free time doing some fulfilling activities. For me this would mean being surrounded by a pleasant company, reading an interesting book, listening to nice music or watching a good film or sport. I think that Sofia should become a European Capital of Culture: this would be a way to prove the great influence that culture has on each human’s personal development. I think the initiative will also be an occasion for foreign European countries to see differently Sofia and Bulgaria in general. I love nature, travelling and communicating with interesting people. “Why Sofia…” Sofia is a city with lots of hidden cultural delights, between the East and the West. I have very good communication skills as an organizer of other initiatives and I could be helpful to the candidature of Sofia for European Capital of the Culture 2019. I love walking through the narrow central streets and discovering hidden pictures and stores. I also love casual meetings with friends. Sofia has to become European Capital of Culture, because more people have to see how beautiful it has become. Also for us to see how happy it could be, when the city is bustling from additional portion of guests and events. I think that our city has an enormous potential that is slowly being revealed. The beauty of the over-material has to be presented in all of its aspects and through art indeed one can achieve its goal. People need inspiration-some are purposely looking for it, others stumble upon it by accident but when someone with a smile on his face brings and offers them "the glass" - no one will refuse. My name is Daniela Atanassova. I love nature, the theater, music, I love meeting new people and having fun. If Sofia wins the title of European Capital of Culture 2019 it will boost the process of Bulgaria’s EU integration. I firmly believe that being a citizen means helping others and volunteering for various causes. My name is Denitsa Chaneva. Why Sofia? It is one of the oldest capital cities in Europe. Sofia has proven throughout the years that it is constantly evolving and changing, true to its own motto, "Grows but doesn’t age." My name is Denitsa Dimitrova. I was born in Tryavna but I live and study in Sofia. I love taking long talks around the city, discovering its many faces. Why Sofia? Well, it is a city in which so many people live but they don’t really know it. There’s a lot going on, and not only in the theaters and concert halls. I think though the city needs to connect better with the residents. I like being around positive people, laughing, and doing good things. Sofia deserves to be a European Capital of Culture for its old history and new, dynamic life. It brings together the East and the West, it has its own charm and many talented people, from the street musician to the world acclaimed performers. Sofia is already a capital of culture and it needs the official recognition for that. I love to travel, good music, meeting new people and spending time with my friends. Sofia deserves to be a European Capital of Cultures for many reasons. It has a remarkable historical legacy which is yet to be fully revealed. Second, it offers many opportunities for relaxation, cultural activities, and entertainment in the city’s parks, museums, galleries. In the past few years, the city has visibly changed for the better. I will be very happy to help my city develop further and win the title of European Capital of Culture. I am Jess – Dessislava Todorova – an English teacher and translator. I love listening to music, walking around Sofia and its surroundings. I love honorable and strong people and I try to be one. Why Sofia? Because it is an ancient and mysterious city with many elegant women living in it. We have also the best yogurt in the world. I love dancing! I love a hearty laugh! I love making people happy! I love helping people and being surrounded by smiley faces! Why Sofia? Sofia concentrates most of the artistic and cultural life in Bulgaria. Sofia has a rich cultural heritage but so many people don’t know about it, and this is a way to show it to the world, to show people how truly remarkable their own city is. Art brings beauty to life; art is all around us but we don’t always see it. Winning the title will give us the confidence that we deserve to be part of Europe. I love to travel and to meet people; I can’t imagine my life without the tango, without origami and earrings; I am always hunting for some new experience. I admit, Sofia keeps on surprising me. I didn’t like the city that much in the past, but now I believe it’s a real treasure, with a remarkable history and remarkable people. With its rich cultural life, the city will surprise everyone, people from far and near. I am Dilyana Simeonova, I’m in love with Sofia and I am a big fan of art. I love walking down Sofia’s streets, discovering new secret places, meeting interesting people, listening to nice music and dancing. Why Sofia must become a European Capital of Culture? Because the city deserves to be rediscovered and developed. Moreover it deserves to be recognized. I love nature and my city, I love sleeping till late and reading books in rainy days, I love my family and my friends, I love my dog, I love writing, thinking, hugging, I love healthy food, I love sincerity, I love to love. I love a lot and I love for long. Why Sofia? Sofia has problems: infrastructure, overcrowding, pollution, ruining buildings, homeless people and dogs that no one cares about. But Sofia has also its good and fighting people, its beautiful flower gardens, its small narrow streets where you can get lost and discover hidden treasures. I see Sofia as a young girl who is developing and who has a great potential to achieve more. I love travelling and sport, laughing and playing games. Sofia has become a popular touristic and cultural destination but the city has not yet fully developed its potential. If we become ECoC 2019, more tourists will get to know the local culture and more Bulgarians will find an inspiration in art and culture. I think that it is my duty as a person who lives in Sofia and whose job is directly linked with culture, to support the candidature of my city. And also because I would be happy to share some of my free time with people who think like me and who are motivated, smiley and creative. My name is Evgenia Kutzarova. I love challenges and I love people who help each other in realizing their dreams. Why Sofia? Sofia must become a European Capital of Culture because it offers a diverse cultural life. It has many theaters, cultural monuments, various interesting itineraries and secret places. But it also has a number of spaces for alternative art. Lots of artists working in different artistic sectors are based in Sofia. I think the possibilities for professional realization here are endless. Apart from assuming its functions as a capital, Sofia is also an ancient city with cultural traditions. That is why I hope it to become ECoC in 2019. That is an excellent opportunity to acquire some new experience, meet new people and support the development of the city. I want to see Sofia as a really beautiful, inspiring and romantic capital city. I want everyone to feel proud from the fact that lives on this incredible place that can show the world an impressive history, traditions and a contemporary society with different interests and skills. Sofia is the city where I live and its candidature for European Capital is an opportunity to improve the city. I would like to help with something to improve the society and the development of culture. I would like to be engaged in social activities related with culture and children in the future. Being a volunteer is a very good opportunity to become more experienced. I love the city I was born in and where I`ve been living, and I think It would be grateful to be part of its popularization as an interesting cultural environment. I believe that all the efforts given in this competition will be good for the city regardless of the results, because the contribution of its citizens is always important. I am teaching music in Sofia and I’m a Director of a vocal group in the school. My willingness to participate in the initiative “Sofia – Candidate for European Capital of the Culture” is due to my profound conviction that the school is the place where our children have the possibility to participate in different forums and to discover their own talents. I love nature and animals. I like cities which have rich history, culture and architecture. Why Sofia? Because Sofia is art, creativity, innovation and charm that we can fully enjoy and continue developing. From my experience abroad I understood how difficult it is to create a positive image of Bulgaria and I think this initiative will be very successful in this direction. My work in two non-profit organizations and my interest in the domain of cultural heritage as well as my experience in project management of European programs would be very useful for setting up a better vision of Sofia and the South-West region for the European Capital of Culture Candidacy. As a citizen of Sofia for me it would be a great pleasure to participate in initiatives which will contribute to the European image of the city. I consider this initiative as something very nice and I hope it to be successful, that is why I decided to participate. My name is Elitza and I love nature, smiling people, art, my friends, sport, traveling and…Sofia! Why Sofia? Because we have treasures of over 2400 years old that we can and would like to share! Because we need to combat stereotypes! Because we are colorful and unique, fun and joyful, intelligent and creative! My name is Elina. I study sociology. I love nature, people and creativity. Sofia is a city of many faces, many colors, unique places and wonderful people. It is the people of Sofia who deserve their city to become a Capital of Culture. I love music, reading, and nature. I love to see people happy and smiling. Why Sofia? Because Sofia has a lot to offer to the people who live in the city or who visit it; it is a city with many talents and they should be shown to the world. I love traveling and meeting new people. I would be really happy to contribute to Sofia’s efforts to win the European Capital of Culture title. I think the city is beautiful and has a great potential that people often do not know about. Having an experience in this kind of organizational activities, I would like to contribute to the quality of the candidature of Sofia for European Capital of Culture 2019 by the diversification and the improvement of the cultural life of the city and the country. I see it as an opportunity to put my hometown on the map through such a positive initiative. Sofia’s bid for European Capital of Culture is an excellent chance to refute a belief, widely-held by friends and peers that Sofia is a grey, rowdy and dour city. Despite flaws inherent to any big city, Sofia’s historical and cultural heritage is an essential element to promoting the city and its advantages both at home and abroad. That’s important for young people who have chosen to study and pursue a career here and would like to see the change happening. That’s also why I volunteer. My name is Ivan Stoev – a social innovator and entrepreneur. I love communicating with active people who have clear values. Why Sofia? Sofia is one of the oldest European capitals. It is the center of the economical, educational and cultural life in Bulgaria and will best represent our country as a dynamic and historically rich one. It is important to me to promote Sofia and Bulgaria abroad. I appreciate the change that has been seen in the city over the last four or five years. I would like to contribute in my own way to the process. I would like to be involved in cultural activities and contribute my skills, while honing experience and networking. My interests are history, philosophy, arts, and literature. I believe that every person has a mission in life, because every person has a talent for something. We are different because each person is unique. I love my country, my people, my family. I strive to do good and to help people. I believe in those who believe in themselves. Why Sofia? Sofia is a city with an ancient history and culture. Whoever discovers its ancient treasures will discover the wisdom of the ages. The city is a symbol of Christian wisdom; its name says it all: Sophia. When you discover Sofia, you fall in love with the city! Sofia deserves to be a European Capital of Culture; its history, its culture, its many treasures prove it every day! I am a student in the National Art Academy in Sofia. I like the arts and doing all kinds of artistic experiments. In my spare time I usually go camping or trekking in the mountain. Travelling is my passion. For everyday trips, my bike is my best buddy. Why Sofia for European Capital of Culture? Sofia is the meeting point of many cultures; if Sofia becomes the European Capital of Culture, it will be a big boost to the development of culture in the city and will motivate the young artists and authors to participate. It will definitely make Sofia a more popular tourist destination, with more and new festivals, concerts, exhibitions, etc. My name is Ivaylo Alexandrov. I am a student. I am interested in modern art, design, pop culture and media. I am a volunteer because this is an opportunity to do the things that I like. I see the great potential of the city and would like to be part of this great initiative. I love music, sports, animals and Sofia. Why Sofia? Because of its enormous cultural and historical diversity; because of the necessity that more people visit and appreciate the city we love so much. I love traveling, meeting beautiful new places and cultures. Sofia has always been and it will continue to be one of my favorite cities; it is a unique blend of many cultures and views. The city has preserved the history of millennia, and today, it draws together people from all over Europe, painting the city’s unrepeatable multi-cultural face. My name is Inna. I am very fond of culture and the arts. They make existence and the world more meaningful. Art can help you discover who you are and get deeper into the essence of being. Why Sofia? Sofia is beauty and inspiration, sophia and unity. The city deserves to be part of the European creative spirit and world culture. Sofia breathes vitality and inspiration. My name is Ilian. My passion is architecture and happy people. Why Sofia? Because the city has the cultural potential, the right attitude and the right people to become a great European Capital of Culture. I love music, literature, theater, cinema and fine arts. I believe that appointing Sofia as a European Capital of Culture will be a great opportunity for us to enjoy many and diverse cultural events and to meet artists from all over the world. I have seen how art has transformed other European cities and I would like to see that happening to Sofia too. I like to communicate with new and interesting people, to travel and to face new challenges. I think Sofia deserves to be a European Capital of Culture because of its artistic diversity. The city’s rich heritage combined with the energy of its young inhabitants create its unique atmosphere. I like the initiative, it matches my yearnings. I love my country, nature, cinema, theater, foreign languages. I love social and cultural events. Sofia is my hometown and I’ll be extremely happy if it accumulates European Culture. That will benefit not only to the appearance of the city but everyone. Why Sofia? Because the history of Sofia is waiting to be shared and spread over. The motto of EU emphasizes on the unity achieved by integration, but also on preserving the variety, and is there something more diverse than the soul of our city. My personal motivation is directed to changing the prejudice and the outlook of Sofia to something more contemporary. And secretly I’m hoping that after another half of century the society will decide that the observations of Aleko Konstantinov are “anachronism”, which doesn’t reflect the reality, because now is the opposite. I’d love to participate and spare no effort to revamp the ‘European image’ of the capital city. Besides being an ancient city with historical sites, Sofia is also dynamic and has the vast potential to interest many in distinct events. Hence, it is a centre to showcase local cultural elite. Even though I was not born in Sofia, I’ve been living here long enough to develop personal commitment to local issues. I love happy people; I love my piano, hot chocolate, books, the snow in winter, I love traveling. Why Sofia? Because it is charming, cozy, artsy. Sofia is history, traditions, culture. Sofia is always new. Discover the hidden beauty of the city and meet its friendly people. My name is Yovka, from Stara Zagora. I love to travel, I love adventures, I love to smile. Why Sofia? Sofia has its own fascinating rhythm and so many intriguing secrets. I decided to become a volunteer because I love Bulgarian culture and tourism, and they deserve to be shown to the world. Sofia is my hometown and I think Sofia is worthy to be selected as the "European Capital of Culture". I think students are the best people to volunteer for various causes. My name is Karina Simeonova. I love nature, animals and beauty in all of its manifestations; I love people who are honest, creative, open to life. Why Sofia? Because it is a city full of life, dynamic, interesting; it is a city of diversity, a city with its own history and future. I believe Sofia has a lot to offer to the world; just look at the thousands of people who will be truly inspired and proud to say "Sofia is our European Capital of Culture"! My name is Kamelia Halil but everyone calls me Kammy. My passion is hiking in the mountains, I am always on the move. I love meeting new people because discovering new things everyday is the best thing ever. I was born in Sofia and have lived here my whole life. And still, there is something new in the city everyday, things I’ve never even imagined. I believe Sofia deserves to win the title; every nook and cranny of the city breathes and lives a remarkable history that has to be shared. I love nature, dogs and beautiful things created by people. I want Sofia to become the European Capital of Culture because Bulgarian artists need to be recognized; their artwork must be seen by the world, and Bulgarian culture must become more open and accessible. I believe we can achieve this! My name is Katerina Zaharieva. I like walking around the city and spending time with my friends. Sofia is my city, with a rich cultural life. I want to help Sofia become the capital of culture, it truly deserves it. I like computers and all kinds of gadgets. Sofia is my city, beautiful and creative, young in spirit. It deserves to be a European Capital of Culture. I am Christine and I am a student. I love foreign languages and travelling. I love Sofia too. I was born in Pleven, but Sofia conquered me thanks to its beauty, nature and architecture. Sofia is also a city with rich culture that we must be proud of. I think the capital, and Bulgaria as a whole, needs to be promoted, because there are many cultural attractions to show to the world and history of which we can be proud. I like the cause and I share the opinion that Sofia has the potential to succeed in a truly remarkable way. The quality of the organization determines the good results for our capital. I want to help by sharing my time, original ideas and unusual perspective on things, so that we can create a truly inspirational cultural city! I want to know more about the stages and the projects in connection with Sofia's bid for European Capital of Culture 2019, and to help in the ongoing initiatives, to exchange ideas and contacts with the people who are active and involved. My name is Liyana Petkova, but everyone calls me Lilly. I simply love the Saturday strolls around the city and its many galleries and art exhibitions. And I also love dancing, it makes you feel alive! Why Sofia? Why not, I say! It is an inspiring city, full of potential. Why Sofia? Because this is one of the most beautiful cities in Bulgaria and people must be proud of it. As a European Capital of Culture more people will visit it, will fall in love with it, and will rediscover its secrets. I think my participation in this initiative will give a chance to gain interesting experience, new contacts and useful knowledge. I feel connected to and concerned with the development of the Bulgarian culture. I hope to contribute to the success of Sofia as European Capital of Culture 2019 through my abilities and professional skills, willingness to work and the pursuit of self-improvement. I support the European Capital of Culture initiative and I would like to contribute in some way. I have a very strong desire to develop my organizational and leadership skills. Also, I believe that my experience so far will be useful for the initiative. Sofia is so beautiful ... from the small, obscure, one-way, paved streets to the old buildings bearing signs of the country's development where each generation has left its mark... all the amazing museums and stories; the galleries and theatres which in the last decade have opened their arms to Sofia residents... to the inspiring concerts that rocked the music thirsty hearts of the Sofia residents... Nestled in the majestic Vitosha, Sofia is a vast place, which has witnessed the creativeness of various authors and artists and it deserves to welcome Europe in 2019. Because Sofia is my hometown and I would like to work in the field of architecture and improved urban design. I want to become a volunteer because I see how Sofia is developing day by day and is becoming a worthy candidate for European Capital of Culture. I want the city where I was born and where I live to be the European Capital of Culture 2019. As an art person I think I would be helpful with creative ideas. To everyone who will ever visit Sofia: please, leave your prejudices and presumptions at home! I like my work with students; I like old cities and big smiles. Why Sofia? For Woody Allen. "Sofia's Secrets" would make a wonderful sequel to “Midnight in Paris" and "To Rome with Love". My name is Marta. My hobby is photography. I love summer nights in Sofia; I love the city’s spirit, radiating from the beautiful old buildings and historical places. I love to see the happy faces of people in the city. That’s why I support Sofia’s candidacy for European capital of culture and will work for its success. I I am Maria Minkova. I love life and people who enjoy life to the fullest; creativity and the desire to work for the community are most important to me. Why Sofia for European Capital of Culture? Bulgaria needs the energy of a major event to build a positive image of the country in United Europe. Civic initiative and participation are the responsibility of all Bulgarian citizens and an opportunity to chart the way to the city’s successful bid for European Capital of Culture 2019. I like Sofia and I think it has the potential to be European Capital of Culture. And I would like to help for the realisation of the hosting. Voluntary work brings me big personal satisfaction. I like to get to know new and interesting people. I would take part in all activities related to Sofia's candidature for European Capital of Culture. I like smiling people, music, theatre, dogs and wheat fields. I like to read, to feel the smell of cut grass, I like cherries and chocolate – in fact, I like many things. I do not underestimate the other candidate cities for European Capital of Culture, but Sofia deserves it most. Here, the variety of cultural events is huge, and everyone can find something in it throughout the whole year. People realize their ideas, attracting other “soul mates”, organizing festivals, exhibitions, and concerts. And this is wonderful, because we unite in this way and thus get enriched not only culturally, but also emotionally. One of my goals is to help the general enhancement of Bulgarian people's culture and more precisely - their eating culture. Moreover, I would also like to contribute to Sofia's popularity as a tourist destination by presenting its historical and cultural values to other nations. Because I perceive myself as a responsible and entrepreneurial person and I think this initiative will be an exciting experience for me. I am Maria and I live in Sofia. I like the long walks in the city I love. It is important to me to participate in the campaign in support of Sofia’s candidacy for European Capital of Culture 2019, because I see our city’s progress every day. This makes me happy and I would like to be part of this process. My names is Maria Iordanova. I love nice music, walks in the mountain, fantasy books and interesting TV shows. Why Sofia? Because it is a wonderful city which is underestimated in too many aspects and that deserves to reveal its beauties to the people open to see them. My name is Maria Krakusheva. I love traveling and meeting new people and cultures. Why Sofia? Sofia must become European Capital of Culture because it shelters elements of antiquity and modernity, because on such a small territory one can discover so many different people and cultures. Why am I volunteering? Because the city needs more volunteers. Why Sofia? Because it is my city; because it is diverse and interesting; because there is always something happening there; because it has a long history and has still a contemporary image; because it deserves to be European capital of culture. 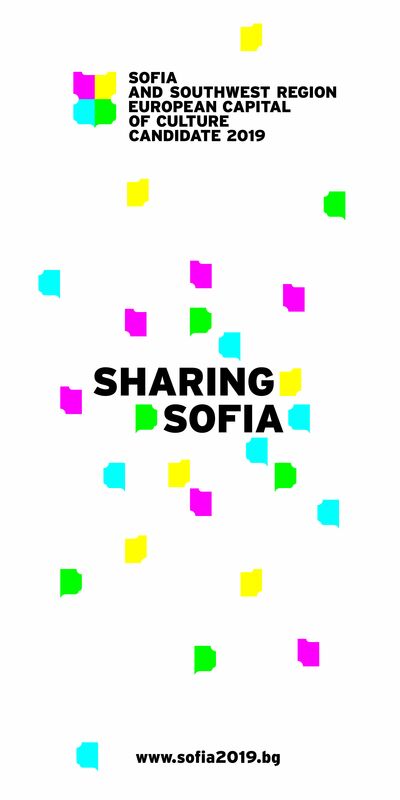 I want to be a volunteer because Sofia - Candidate for European Capital of Culture 2019 is a project that is a collective of all the fields I am interested in and which I intend to be actively engaged in. I believe Sofia has a real chance to win the competition and enterprising young people with ideas can contribute greatly to its realization. I love my family, nature, music, photography and travelling. I think that Sofia deserves to be European Capital of Culture, and I am delighted to be part of this initiative. I love my family and my work. I love life. Sofia is my city – beautiful, dynamic, noisy, changing. Here one can find anything he is searching for – busy streets, full cafeterias, parks, theaters, galleries, operas and people. Sofia’s citizens deserve to win this candidacy. As a volunteer I can actively contribute to the development of the capital and its ECoC application. In Sofia there really is a lot to see, it only needs to be properly displayed. I wish to be a part of the cultural core of Sofia, I want to feel the seething desire for development, the enthusiasm which people work with for the idea to make diverse intellectual and creative activities occur. And my most valuable contribution would be to reflect everything that we will “occur and happen” together in articles and photographs. Why Sofia: Sofia has an incredible potential and this competition is an opportunity for Sofia to show it. The city deserves to become a modern capital of culture and I’d like to be part of the process. I like to make mistakes. Why Sofia? Sofia is my first true love and I want to be part of its development. I have the obligation to try and help the city that has contributed to the development of my personality. I love to travel and to discover new places. Sofia is a city with many faces, old and new, constantly evolving. There is something for everyone in the city, for its residents and its visitors: from the historical relics of Roman times in the center of the city to modern landmarks of architecture, from the new subway to the old city quarters and the Vitosha Mountain. The residents of Sofia are as diverse as the city itself, and they make it a vital and beautiful place to live (a belief that some of my fellow citizens may not share). However, I am convinced Sofia deserves the title of European capital of culture. If we all lend a hand, we can make it even better. I love my family. I like reading and photography; I like the summer and spending time with people around me. Why Sofia? Sofia needs to change the notions and views of other cultures about the city. We have to make them come to Sofia and experience the magic of the city. I am a volunteer because I believe that together we can create something great. I want to be a volunteer in this program because during my past experience in volunteering I gained a lot of positive emotions and I have learned a lot. In my free time I want to devote myself to something useful like Sofia's bid for European Capital of Culture. After getting familiar with some of the previous reports of cities that have been European Capitals of Culture, I find the initiative itself interesting, something new giving the city a chance to reveal its characteristics, and the young talents to be discovered. It is interesting to trace the views of citizens on what Sofia could offer as a candidate for a European Capital of Culture. Why Sofia? Not so much because of the title itself or for the search for European recognition, but mostly to encourage its citizens and visitors to be more active in all cultural fields. I would like to be a volunteer in this important initiative because I believe that Sofia is part of the European cultural space and with its authentic natural and cultural heritage can worthily present the spirit and traditions of Bulgaria. I would be happy and eager to join the activities for popularization of this . I have skills and knowledge that could be of use to the application of Sofia for European Capital of Culture in 2019. I am Monika Zahova. I was born in Burgas but I like Sofia and I believe the city deserves to become a European Capital of Culture. I love sports, meeting new people and volunteer work. I love books and the summer. Why Sofia? Because Sofia can! Why I want to volunteer: because I believe that Sofia has a huge potential that Europe must see. Why Sofia? It is the city of surprises. Motivation: I believe that with our joint efforts Sofia will show its full potential and talented artists! I am a volunteer because I love my native town and I’d be glad to contribute to its future. Sofia has a great potential and I believe that this potential could be developed only by the help of people who care – and it is my help that I am offering. I love going to the theater, traveling and recently I have developed a new passion – skiing. Why Sofia? Because Sofia is a city where everyone can rediscover himself. Sofia is one of the most ancient cities in Europe and it has to regain its respectable place. Why Sofia? This is not a question. This is an answer! Because its location at the crossroads has attracted the attention for millennia, and it is natural to continue to be so! Because it is a parti-colored mosaic of the Orient and Europe, and its people are like scattered beads, colorful, individual, seeking. Because Emperor Constantine exclaims: “Serdica – this is my Rome”! I paraphrase: “Sofia – this is my city”! Because it grows but does not age, and it has grown up enough to represent us fittingly! Because it is like a reception table and everyone can find something for themselves! Because a city with a past is a city with a future! Sofia is a busy city and its beauty and charm cannot always be seen at first sight. Most of us, its citizens, are walking through the same streets day by day, immersed in our own thoughts and worries. The truth is that the city we live in needs care and we have to learn how to make the efforts to help it. I believe that the initiative to make Sofia a cultural capital could give us the opportunity to become a united and responsible civil society and thus form a sense of mutual existence. What do I love? I love art, because it is an environment where differences meet and complete one another without provoking strong conflicts. I love art because it is a common language that unites different people. Why Sofia? Because it deserves it. I am thrilled to be working with so many young people who love Sofia and love to bring it to a Capital of Culture. I like music, art, cinema, books and robots. Why Sofia? Because it is a hidden gem that is waiting to be found and everyone who feels adventurous is welcome to try to reveal the beauty of this magnificent city. My name is Netty Todorova. I am 23 years old. Why Sofia? Because this is my city, this is our Sofia! Because, I believe, it changes and Europeanizes, because it is the cosmopolitan hub of Bulgaria. Because bright individualities mix, intertwine and sometimes collide here. Because it is time for a change, and I know that the young and active people can provide much help to our capital city! I have always been attracted by visual arts and cultural events. I like very much sharing the company of artists and I’d be glad if this could happen more often. My greatest contribution could be giving publicity of the events related to the candidature of Sofia for European Capital of Culture and assisting in the organization of these events. I believe that our city deserves becoming European Capital of Culture because it has centuries-old history, modernizing infrastructure and favourable conditions for development. So, I dare say that the selection of Sofia for European capital of culture depends on the support and the efforts of its citizens. That’s why I want to help with this. I enjoy good books and good movies. Why Sofia? Sofia is one of the oldest and also one of the best-developed cities in Bulgaria. It is a reflection of the history of our people, with the rich heritage of the past and the triumphs of modernity; a thousand-year old city looking into the future. I love traveling and meeting new and interesting people. Why Sofia? It is a colorful city full of opportunities and challenges. It is also a city that combines innovation and tradition. The small streets and big boulevards, the green parks and beautiful gardens give Sofia its uniqueness and preserve its spirit for the generations to come. Sofia has proven that it withstands time and events and it deserves to be awarded the ECoC title. I am really excited about urban infrastructure and I believe that through volunteering for this campaign I will meet people with similar interests to mine. My name is Pavlina Zheleva. I have graduated in Journalism and Mass Media from the University of National and World Economy. I like sports. Sofia is my city and I believe it has a European look. Why does Sofia deserve to become the European Capital of Culture 2019? It is the fastest developing capital city in Eastern Europe. In recent years Sofia has been visited by many popular performers, actors and artists. I love … culture in all of its versatility and layers. Why Sofia ... Sofia has its own unique cultural variegation. In Sofia there are lots of different and rich kinds of architecture, plenty of small and bigger theaters, lots of national and international cultural monuments, museums and galleries full with rich and famous collections, international language centers, different religious temples and institutions, new and creative street pop culture is also finding its place, developing film industry, concerts and fests featuring world famous artists and cultural figures. All this creates an intercultural dialogue which is enjoyed by Sofia`s citizens and its guests. I would like to meet lots of new people to exchange ideas and experience with. Not only during the project but also beyond. I am Petya Georgieva. I love loving. I love walks and nature. I love art, dance and music. I love warm and sincere people and hearty smiles. Why Sofia? Because it is a wonderful city. It is green, mysterious, full of surprises. It has many small galleries, cozy shops, old renovated buildings, romantic coffee shops and restaurants that deserve to be seen and appreciated by other Europeans. My motivation for volunteering? Cause. Value. Potential. Dedication. Satisfaction. Success. Result. Happiness. Sofia. I was impressed by the spirit and competition, between Spain`s two southern capitals – Cordoba and Malaga. The competition was based on ideas, creativity and cultural festivals. I want to be a volunteer because I want to support the candidature of Sofia and to be part of this celebration of Bulgarian culture and achievements of my own town. By volunteering for the Sofia for European Capital of Culture 2019 campaign I believe I will acquire really valuable experience, and will be able to contribute to various project activities through applying my skills and enthusiasm. Sofia deserves to be a European Capital of Culture, it has the potential and qualities to win. I believe in the city and want to support it in the important competition. My name is Petar Ilchev. I love to travel. I like dancing, I like sports, I like foreign languages. Why Sofia? I have spent most of my life studying abroad, but I have never stopped thinking about Sofia and its remarkable cultural heritage and great potential for development. I am convinced that 2019 will be the year of Sofia: the time for the city to shine in Bulgaria and in Europe. I am a very enthusiastic person who likes to get involved in various types of project work. I believe I have strong analytical skills that will help me excel in problem-solving situations as part of the Sofia for European Capital of Culture 2019 campaign. I love to be surrounded by happy people. Sofia has to win and show the world that even a small country like Bulgaria can be a leader in Europe! My name is Plamena Pesheva. I work in fashion design. I love nice weather, music, design, I love art, the mountains, I love books. My name is Plamen Alexandrov – Air Flame. I love seeing smiling people with sparkle in their eyes. I love walking down the streets of my home city of Sofia. I love nature and mountains, lakes and parks. I love the smell of books and the feeling of turning over their pages. I love theater pieces that keep you awake and films that carry you away in other universes. I love dancing with the moon while walking home after concerts. I love loving and that is all I can do. Why Sofia? Every European capital has its big river which brings life and flushes away dirt. Only Sofia is different from the others. Its liveliness is born under the city and rises with the mountain symbolizing the love of freedom and spirituality. I love sushi, salsa, and tea. Sofia is a modern, very beautiful city, the cross point of cultures and nationalities. It deserves to be a European capital of culture. I am strongly motivated to work for the cause and help Sofia take its rightful place in Europe. I love music, animals, and traveling. Why Sofia? I believe the city has a unique feel, a remarkable history and cultural life. This is an opportunity to change the city and the city’s image, and to share it with the world. My name is Proletina Velichkova. I love new challenges because they give me the possibility to develop and to be useful to society. Why Sofia? Because Sofia is a wonderful but often underestimated city which deserves the chance to reveal its many hidden treasures to Europe. I have long been following the application process of the Sofia for European Capital of Culture 2019 campaign and I am thus greatly motivated to be part of the project as a volunteer. I was born in Shumen, I live and study in Sofia! I love sunny weather, I love the sea, the sandy beaches, I love camping with my friends! Sofia oozes effortless cool! I am interested in and I like voluntary work, but I hadn't had time before. Now, since the cause is Sofia, I would be glad to help it win. I believe that I can contribute through translating supporting texts, through organisational work or through ideas. Also, I can help through articles, online debates and attracting of more volunteers, so that the European Capital of Culture initiative can reach more people. I became a volunteer, because I support this initiative and I believe that Sofia is an inspiring city and a capital with many opportunities for positive development. People at every age are interested in the cultural events and the rich choice of cultural initiatives can be, and is, in favour of all the citizens. I think that cultural events of all sorts should be given wide publicity. This way more people could have access to them. It is really interesting to me! My name is Russlan Leontiev; I am a student at Sofia University. I think Sofia has the potential to win the title: it has a remarkable culture that the world needs to see. Everyone can help the city take a central place on the cultural map of Europe. I love to experience new (cultural) experiences. “Why Sofia…?” Sofia is part of the modern world, people are filled with dreams and aspirations. Through the diverse nature of a city, its own cultural artistic side and its own ART side is created. I would like to gain experience and help in creating a positive urban environment. At the same time I could increase the visibility of ECOC. I love adventure; I like to laugh and to make people laugh. Sofia is a great city, diverse and colorful. I enjoy the charm of the tiny alleyways and passages, the big movie festivals and the cozy tea rooms, the sound of mellow jazz music. In the past few years, Sofia has changed so much; it has become even more interesting, full of life. It is a worthy candidate for the title of European Capital of Culture. My name is Sylvia and I want to support my city in this important competition. I love the summer time, I love traveling, and being around happy people. My hobbies are photography, good books and movies. Sofia is a rich city – with many parks and beautiful galleries, big museums, cozy cafes. It is a modern city, always on the move, always changing. Sofia is the symbol of the Bulgarian spirit. Because I am a culturally engaged person with creative ideas and potential and I am curious. I would like Bulgaria to be famous with its talent and enthusiasm and I can contribute to the initiative Sofia - European Capital of Culture 2019. To win the nomination, of course! Sofia deserves it! Because very interesting things are going to happen with Sofia and want to take an active part in them, and I think that the skills I have could be useful. I would like to be useful in my experience and opportunities for a good cause - Sofia to become European Capital of Culture 2019. I love my friends and family; I enjoy traveling and discovering new places. Sofia has all it takes to become a European Capital of Culture. The city has a remarkably rich history; the city center is a wonderful blend of many cultures. There are many museums in Sofia which can tell the world the city’s unique story. As a volunteer, I want to support Sofia in its efforts to win the title in 2019 and move on into the future, true to its slogan: grows, but it doesn’t age! My name is Stella Mihaylova and I am a student at Sofia University. I love a cup of coffee in the morning, with my friends around me. Sofia offers something for everyone; a city with many romantic and attractive places, a city that deserves to be seen. I am interested in large-scale projects such as the candidature of Sofia for ECoC. I would help with the experience and contacts that I got from my own initiative. The initiative would be useful for future projects that I'd taken himself. Because I am interested to see the city I live in to grow, to be clean and put in order. To pay more attention to the amazing sights. Sights that should be restored to their full glory, so they can attract tourists and benefit the economy. I would also like to see the cultural heritage of one of the oldest cities in Europe, being not only protected but also available to be shown with pride in new pedestrian areas. I believe I can contribute with new ideas and help others to happen. I live in Sofia and I like the city very much. I know a lot about the place and I would like to do something beneficial for my town. Sofia has earned an image of cultural capital of Bulgaria but we still miss the title. All of us who live in Sofia deserve more diverse events and cultural adventures. That is why I wish that we become the center of Europe in 2019. I am Tedy. There are many things I enjoy in life, but what I enjoy most is seeing young and active people giving their best to transform Sofia into the capital it deserves to be. Why does Sofia deserve to become an ECoC? Because of its cultural diversity and its rich past. I hope that we will altogether succeed in achieving our goal. I like this initiative. It's important to see it’s implementation happen. My name is Temenuzhka Zaharieva. I am an interior designer and a journalist. I love making beautiful products that inspire people and make their environment better and more welcoming. I want to help Sofia become a more beautiful place. Why Sofia? Sofia is one of the cities with the richest cultural and historical heritage and the world needs to see it. But the city also has a rich cultural heritage that has sustained our identity as a people through the ages. Sofia has to share this with Europe and the whole world. I believe that this competition is a chance for the city to become better, more interesting, to tell the world an unknown story of past ages. We all have a duty to help the city reveal to the world what it has. My name is Trayana and I study economics. In my spare time I like going to the movies, to the theater, I like meeting new people. Sofia deserves to become the European Capital of Culture because it is a wonderful city, where everyday something is happening. Look at the many festivals, exhibitions, and concerts, attracting people from all over the world. I am happy to be part of this initiative and to see Sofia in the spotlight of world culture. I love the sun, diversity, and the little things that make me smile. Why Sofia? Because Sofia is a unique combination of rich history, beautiful nature, colorful personalities, cultural events, nightlife, architecture and lots of inspiring places. Our city deserves to become a European Capital of Culture, and I would be happy if I can contribute. I would like to contribute my abilities to the development of the program. I put into account the importance of the initiative, and I would like to be as useful as possible. I believe, I will be helpful as the culture sphere is of great interest to me, I am enthusiastic and have the time to dedicate. I would like to take a part, to be helpful to society, and to my own personal development. I like photography, history, painting; I like going to the mountains. Why Sofia? Sofia is a city with great history and great culture; a city with a vibrant cultural life, and that means, a city with future. I am a volunteer because I believe in the working for a cause; I am convinced that what I can do today will help my city become a better place for living for those to come. My name is Tzvetina Vesselinova. I like Sofia, I like its talented and creative people. Why Sofia? It is authentic, honest, open, cozy, and attractive. The city is like a young person with the wisdom of the ages (alas, her name is Sophia). I am Tzvetelina Ivanova. I hold a MSc degree in PR and Advertisement. Although I am currently working in a different field, my involvement in the Sofia 2019 volunteer program will allow me to do something I really like. I think my participation in the initiative will be very useful and interesting for me and will be an opportunity to meet new people with whom I share similar interests. I support the candidacy of Sofia for ECoC because I believe our city is culturally and artistically rich and it deserves to be an ECoC 2019. Recently, the subject of European Capital of Culture, and more specifically the effect evaluation of similar initiatives when it comes to the development of the city and its urban area, have interested me. For me specifically, the attraction of citizens who are not involved in the culture sector and how they could be motivated to become a part of the “city making” is the biggest challenge. I believe that similar initiatives are a way to put an accent on the individual responsibility which lies on every one of us, to make the place where we live better. How this could be accomplished is an interesting challenge for me. I love Sofia with all my heart, and it would be a pleasure to meet more people who appreciate the city properly. No doubt, I would be infinitely happy, if I could contribute to the development of the city's candidature for European Capital of Culture in 2019, with my two hands. Lastly, I would be happy to share the emotions which Sofia gives me, and fight the mass negative opinion, with others. I would like to contribute to the culture development of Sofia, mostly in the sphere of art. My name is Julia and I am 21 years old. I'm from Poland and I am in Sofia through Erasmus – studying here Bulgarian philology. I am an optimist, a passenger and a volunteer together. I love many things, but my favorites that I will not stop doing are traveling, volunteering and socializing with different people. I just like to live like every day is the last day of my life, and if I die tomorrow there will be nothing I will regret. I wish to popularize the achievements in the field of arts and culture, and to help young talents in their growth as creative artists. The social environment is extremely important and responsible for the development of young people, which is why I believe it is necessary to put in all the efforts to improving the living conditions, not only regarding the social benefits, but also thinking about the necessity for spiritual enrichment and improvement. I am Julia Talipova and I am studying Cinema and Television in the New Bulgarian University. I love traveling and exercising activities related to art and culture. I think Sofia must become an ECoC because it is a wonderful city with a rich past, a dynamic present and a promising future. I love my city, I think it is unique with its cultural heritage, history, people and spirit! I believe that my city of Sofia needs people like me. I truly believe that I can live, work and create a family in Sofia – a city which is worth fighting for. I love Summer, good music and animations. Why Sofia? Because it deserves to be awarded with the title ECoC. Sofia should be the European Capital of Culture because it is the capital of Bulgaria and can promote our country and reveal its beauty and rich cultural life. I chose to become a volunteer to help Sofia in the initiative and to try something new and interesting. I became a volunteer because I have experience in events management, experience in organization of events and I think that will contribute to the organization of activities related to Sofia's bid for European Capital of Culture. I like strolling in the night lit city in the spring. Why Sofia? I like Sofia, it is my home town. Sofia is the cross point of many cultures and ancient civilizations. Winning the title will put the city in the international spotlight, and Sofia deserves it. I love volunteering. I love to express myself through art, I love the theater, I love to discover something new every single day. Why Sofia? Why not? I am part of this because I want to meet new people; I believe that self-discovery happens through culture. For me, Sofia is: powerful, the circle of my dreams, the city of values and history, truth, the instant in which the universe is born.